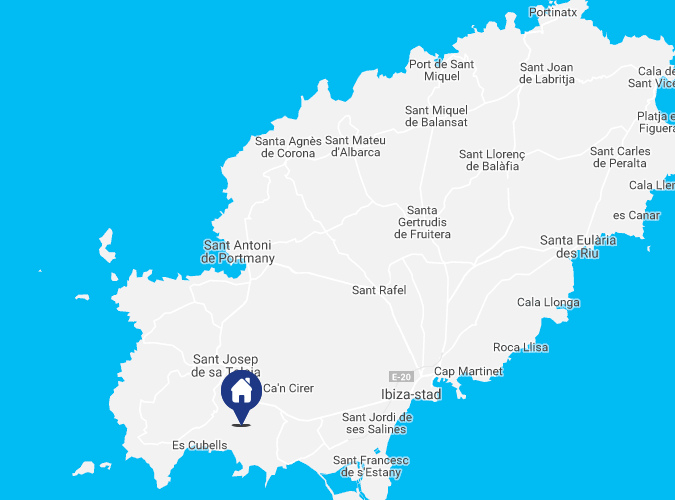 Located in the south, close to beaches Cala Jondal, etc. The detached villa Can Redo with a plot of 4.500 m², 220m² of living space, 3 bedrooms and 3 bathrooms is located near Sant Josep. This property is ideal for holidays with family or friends. This housel offers an LCD TV, music system and internet, the large kitchen is fully equipped. The spacious pool terrace is ideal to spend time together, the outdoor area blasts with its beautiful pool, several sun loungers, seating areas and the brick BBQ.